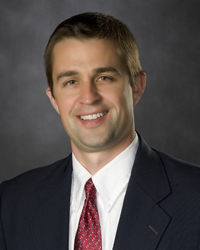 Tom Gresham joined the University Public Affairs staff in 2005 as a public relations specialist. He now helps oversee the department's news creation and media relations efforts. Gresham previously served as a reporter for the Williston Observer and Shelburne News newspapers in Vermont. He also worked as a sports reporter for the Daily Progress in Charlottesville, Virginia. Gresham, a Richmond native, received a bachelor’s degree in English from the University of Virginia in 1998 and a master of fine arts in creative writing from VCU in 2015. He is the co-author with Guy Hansen of "A Baseball Guy: Former Kansas City Royals Farmhand, Scout, and Major League Coach Takes You Inside the Game He Loves."